Ryanair's average fares fell more than expected in the last three months of 2016 amid a glut of capacity in Europe's short-haul aviation market, but the low-cost giant said it remains on track to post a modest increase in annual profits. Europe's short-haul carriers have struggled in recent months with overcapacity and Britain's vote to leave the European Union, with low-cost rivals Wizz and easyJet both trimming their annual profit forecasts in recent weeks. 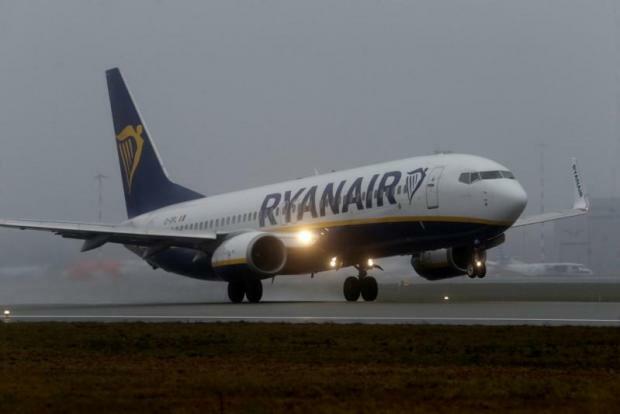 Ryanair, Europe's largest airline by passenger numbers, said average fares fell 17 per cent in the three months to Dec. 31 and could fall up to 15 per cent in three months to March 31. That is worse than its earlier forecast of a fall of between 13 and 15 per cent over the six-month period. Weak fares knocked its profit in the final three months of 2016, the third quarter of its financial year, by 8 per cent compared to last year to 95 million euros, compared to a forecast of 99 million euros in a company poll of analysts. But it said it remained confident of meeting its profit guidance for its financial year to March 31 of 1.3-1.35 billion euros, which would imply an increase of around 7 per cent on last year. "It seems clear that pricing [in the year to end-March 2018] will continue to be challenging and we will respond to these adverse market conditions with strong traffic growth and lower unit costs," chief executive Michael O'Leary said in a statement. "We expect our strategy will win market share from all higher cost EU competitor airlines, while we continue to open new markets," he said. The Irish airline, which is focussing on market share rather than profit per passenger, increased its passenger numbers in the last three months of 2016 by 16 per cent and further cut the number of empty seats on its planes. It plans to grow capacity by 13 per cent this winter compared to an industry average increase of around 9 per cent - the highest level of capacity growth in the industry in a decade. Ryanair said its costs per passenger were down 12 per cent in its third quarter, half of that due to fuel. Unit costs for the full year to March 31 will fall by around 4 per cent, it said. Ryanair has outperformed the wider European airline market in recent months, closing on Friday at 14.77 euros, 41 per cent ahead of its post-Brexit low of 10.46. The European Airlines Index is up 23 per cent from its post-Brexit low. "The Q3 results came in marginally light of our forecasts and consensus. However, we expect Ryanair's peers to face greater pressure given their narrower margins," said Liberium analyst Gerald Khoo, adding that he expected no change in analysts' consensus forecasts for Ryanair's full-year profit.